Cardamom or Elaichi(Queen of Spices) is a spice, seeds of plants. It has a very warm aroma and pungent taste. Green cardamom (Hari Elachi) used as flavorings and cooking spices in both food and drink. It is also used as a masticatory, and in medicine. Buy(order) Green Cardamom(Elaichi) online at whole sale price from KiranaPlace, a online retail shop. Cardamom or Elaichi(Queen of Spices) is a spice, seeds of plants. India is the largest producer until the late 20th century. There are two types green cardamom and black cardamom, both forms of cardamom are used as flavorings and cooking spices in both food and drink, and as a medicine. The spice has a very warm aroma and pungent taste which it can retain for a very long time. Cardamom is one of the main ingredients in Garam Masala, a spice mix used commonly in subzis, rice preparations, snacks, etc., in India. Green Cardamom help the body eliminate waste through the kidneys. Green Cardamom help to beats bad breath. Green Cardamom is used for mouth ulcers and infections of the mouth and throat. Green Cardamom help to prevent and relieve cold and flu symptoms. Green Cardamom help in lowers blood pressure. 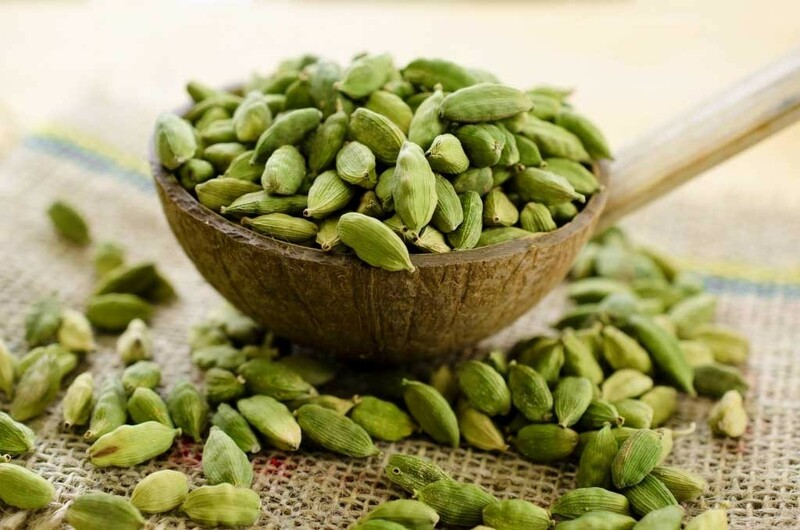 Green Cardamom help regularises your heart rate. Chewing the cardamom pod help to relieves acidity.